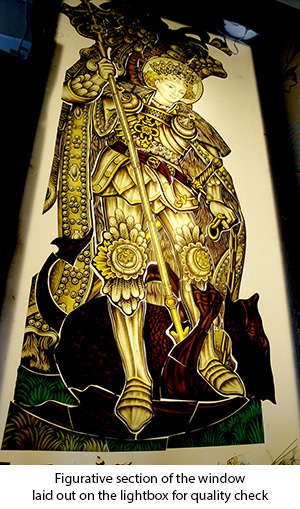 As part of our continual need to learn new techniques, it felt only right that we took on a piece created by one of the greatest British Stained Glass designers. 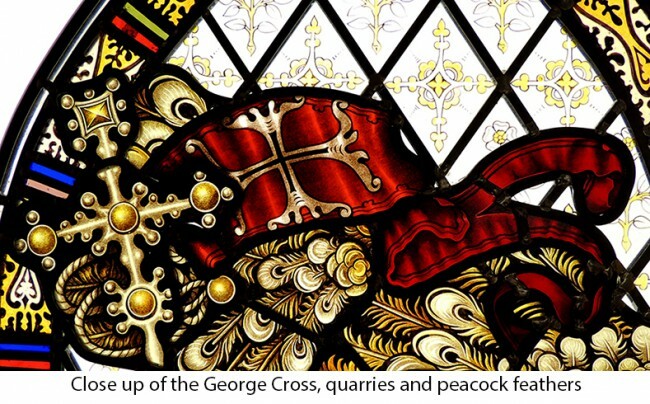 The window we chose is just one of the many styles of St George & the Dragon that Kempe designed, but it included a lot of the key features synonymous with Kempe, such as pearls, detailed quarries and feathered wings. 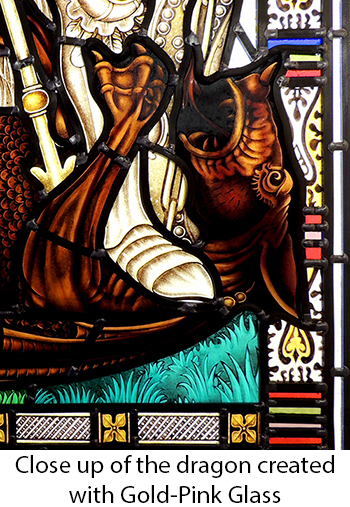 Charles Eamer Kempe (29 June 1837 – 29 April 1907) was a Victorian stained glass designer and manufacturer. 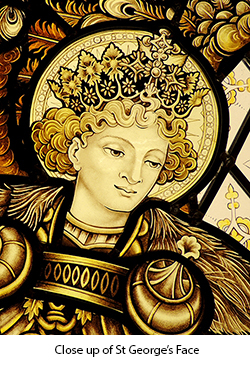 His studios produced over 4,000 windows and also designed for altars and altar frontals, furniture and furnishings, lichgates and memorials that helped to define a later nineteenth century Anglican style. Cathedrals containing examples of his work include: Chester, Gloucester, Hereford, Lichfield, Wells, Winchester and York. As a trademark, the firm used a golden garb or wheatsheaf, taken from Kempe’s own coat of arms as a signature for their work. 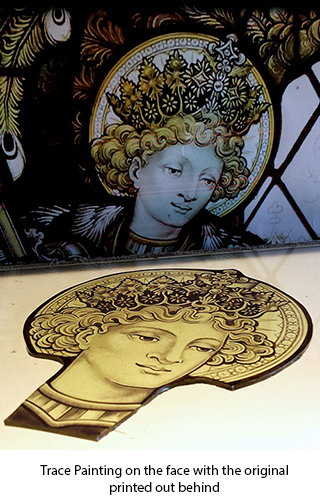 A distinct style, it is very easy to pick out a Kempe window, from the beautiful faces, pearl encrusted drapery and peacock feather wings.